Figure 9-1. 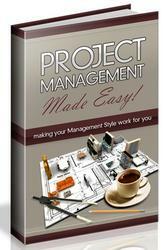 Managing your project requires balancing time, money, and scope. You need to know which side of the triangle is your most important consideration. Is it schedule—you definitely have to finish by November 14? Is it budget—there is absolutely $264,300 for this project, and not a penny more? 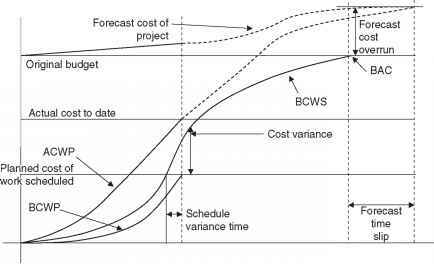 Is it scope—it is imperative that each and every task in your project plan be implemented? Only one side of the triangle can be "absolute." The other two sides must be flexible so you can adjust the project plan to hit that one absolute. Although not strictly a part of your project triangle, it's likely that you also will check resource workloads. Resources are the biggest part of your project costs. If any resources are overallocated, you might be facing more overtime than your budget will allow. If resources are grossly overallocated, you run the risk that the tasks won't be done on time and the entire project will slip. If any resources are underallocated, you might be paying more for resources than you should, which also affects your budget. After you make your adjustments and balance your project triangle to meet the project requirements, you'll be ready for stakeholder buyoff. After you have buyoff, you'll be ready to start the execution phase of the project.